Two RoboBrrds with a BIG adventure ahead of them! 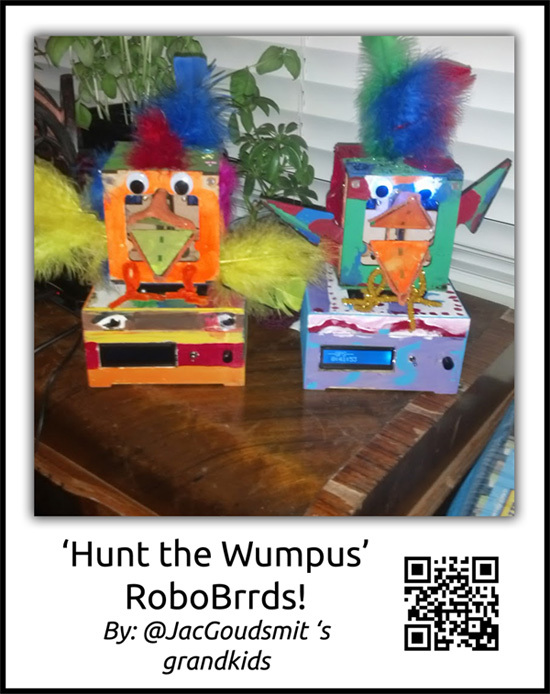 The goal with these RoboBrrds is to have them play Hunt the Wumpus using GPS coordinates. The idea is to modify the game into ‘Find the RoboBrrd’, changing the bats into flapping wings, the wumpus into moving beak, and more. The Brrds are equipped with a stand, a GPS, a LCD to display text, and of course LOTS of colourful feathers. Jac Goudsmit has been helping his grandkids along with building the RoboBrrds, and they did all of the building, soldering, and decorating! Definitely deserving of a RoboBrrd-round-of-applause! 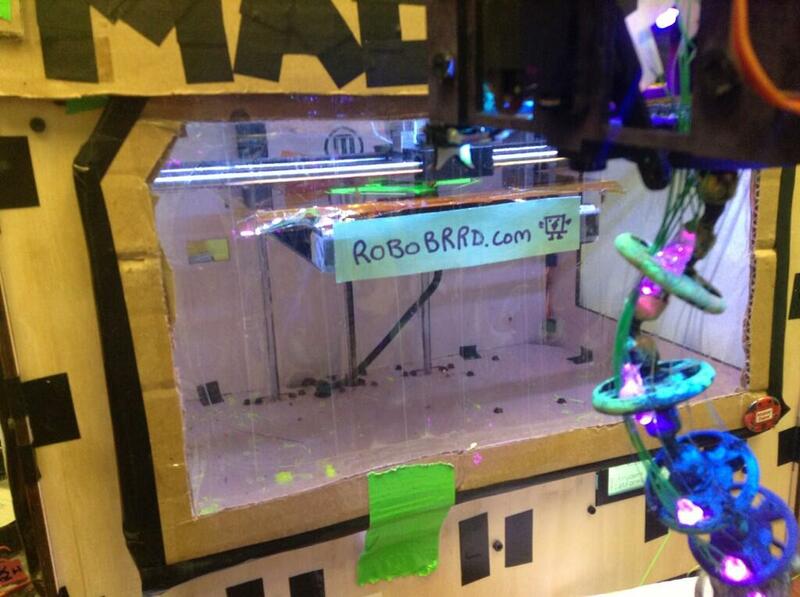 You can follow more of their RoboBrrd adventures on Jac’s Google+ here, check it out!